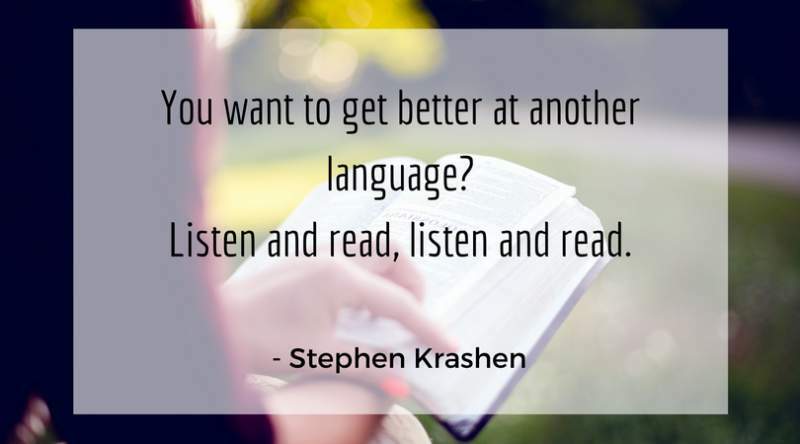 Stephen Krashen is a linguistics professor at the University of California who has written extensively on second-language acquisition. His work is very highly regarded and it’s used in linguistics classes all over the world. 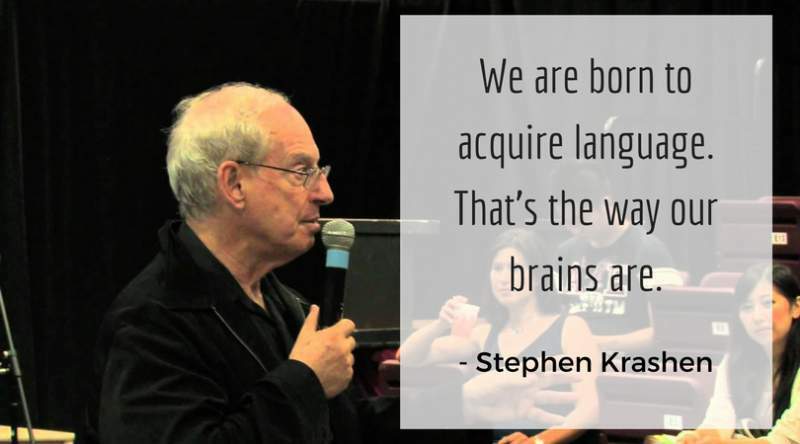 If you’ve ever studied linguistics, you’ve probably come across some of his articles or books! 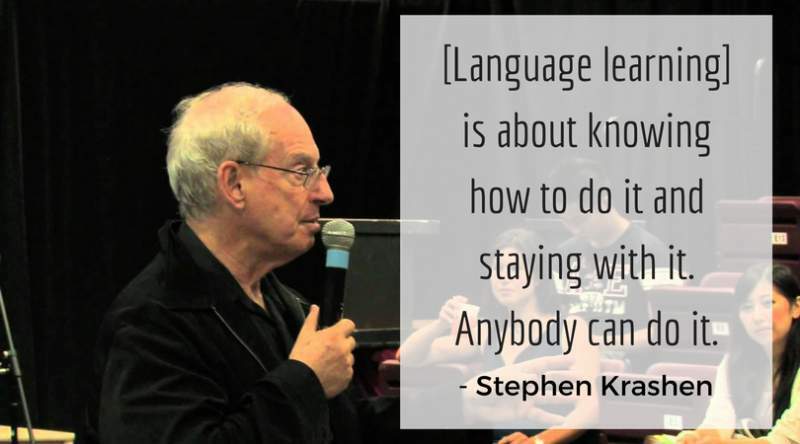 I spent a lot of time studying Stephen's work while completing my masters in linguistics, so when I got the chance to meet and interview him at the Langfest2017 conference in Montréal, I jumped at the opportunity! The video above is the result – a fascinating half-hour conversation in which I pick Stephen’s brain about his life’s work on how people learn new languages. 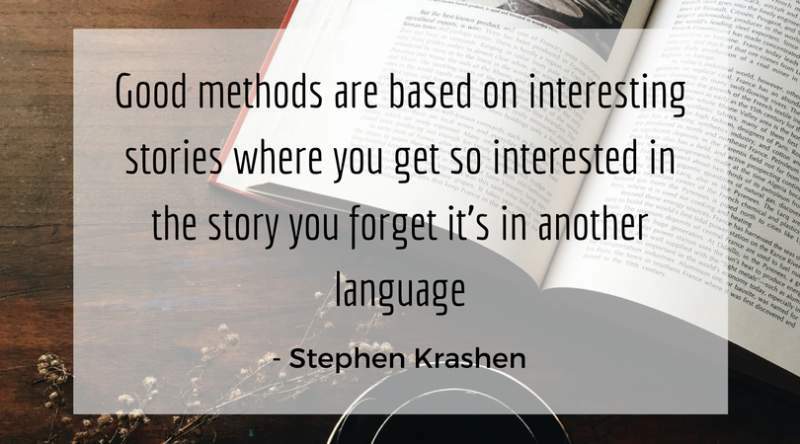 Stephen not only talks about his research findings but about his own experiences of learning new languages and the power of story as a learning tool. What about beginners who literally can’t understand anything in their new language? He says learning a language is difficult – people want to speak English with you all the time! What have you learned from this interview and how will you apply it to your own learning? Let us know in the comments! What works for him doesn’t necessarily work for others!